I don’t usually post on Tuesdays, but I just had to share this. 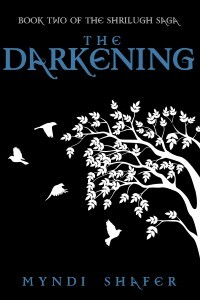 THE DARKENING (Book Two of the Shrilugh Saga) is out! 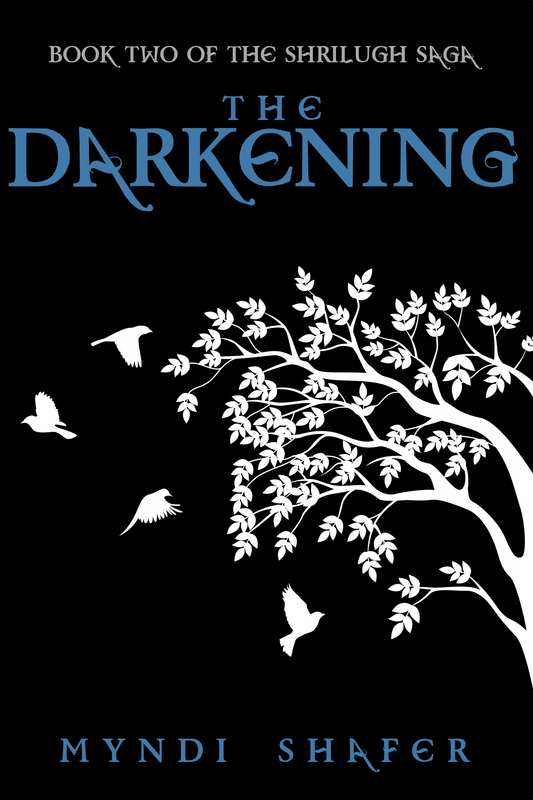 I reviewed Shrilugh, Book One (click to take a look), when it came out, and I already have my copy of The Darkening. I’m excited to find out what happens next in Aydan’s world, and even more than that I know for a fact that this segment of the story had Myndi in tears more than once. I’m dying to find out why. As a special treat for a special day, Myndi has stopped by to answer a few questions! Myndi, thank you so much for stopping by today. Tell me, what was the inspiration behind The Darkening? What’s one thing about you that will surprise readers most? Oh my gosh, this is a silly question. I have the most tame, Beaver-Cleaver-type life you could imagine. I’m probably the least surprising person in the world. Well, okay, there’s this – I really enjoy folding laundry. I love seeing the tidy piles build up, and thinking about my kiddos and how they’ve grown, and the smell of clean laundry. It’s soothing. *heavy sigh* I just re-read that and realized how lame I sound. I wish I could have had something way cooler like, “Oh, I go parachuting,” or “Big game hunting in Zimbabwe is totally my thing”. But nope. I’ve chosen to stun you all with laundry.